Chandeliers are synonymous with luxury and eye-catching elegance. The designers at Custom Lighting carefully select a unique range of crystal from some of the world’s most prestigious and reputable design houses, making our collection of crystal chandeliers, the finest in Australia. As authorised lighting partners of world class crystal merchants Schonbek and Swarovski, you’ll be assured heirloom quality crystal and expert knowledge. Custom Lighting’s Melbourne Showroom features a space devoted solely to crystal, where our clients’ visions can come alive. Our collection of high quality chandeliers is regularly updated with timeless pieces that will make a statement in your dining room or living room space for years to come. The glass crystal that is used in our vintage chandelier range is of the utmost standard, cut by hand or machine and available in an array of shapes and sizes, all of which create that stunning sparkle. When you select a traditional crystal chandelier, you are selecting a piece that will be shared and admired for a lifetime. 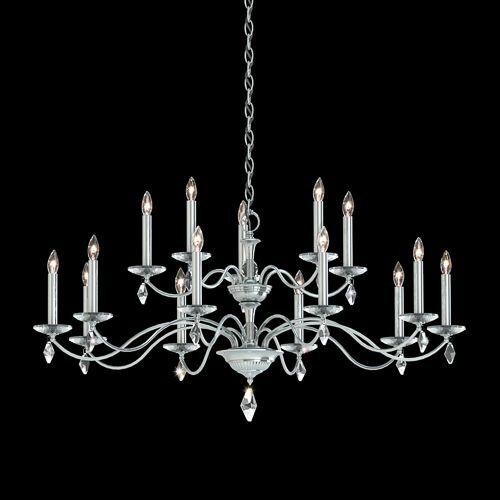 View our range of chandeliers online below.